Sen. Bernie Sanders Friday in Exeter, N.H.
America, collect your vacuum pennies: The nation’s favorite Bernie Sanders, comedian Larry David, will be joined by the real Sen. Bernie Sanders (I-Vt.) this weekend on NBC's "Saturday Night Live." Sanders plans to leave New Hampshire just three days before the first-in-the-nation Democratic primary for a quick trip to 30 Rockefeller Plaza, as the Washington Post first reported. Tad Devine, the candidate’s senior adviser, confirmed the appearance to Seven Days. David, the “Seinfeld” and “Curb Your Enthusiasm” creator, has appeared twice on SNL as an only-slightly-exaggerated version of Sanders. The comedian is scheduled to guest-host the show this weekend. Sanders isn’t the only candidate taking a quick detour from New Hampshire. Rival Democratic presidential candidate Hillary Clinton plans to visit Flint, Mich., on Sunday to urge the U.S. Senate to approve $600 million in aid to the city to help it address its contaminated water crisis. The Vermonter was expected to accept an endorsement from former NAACP president Ben Jealous Friday afternoon at a press conference in Exeter, N.H., but the event was postponed at the last minute. An aide said that weather — it snowed all morning in New Hampshire — had impeded Jealous’ travel plans. 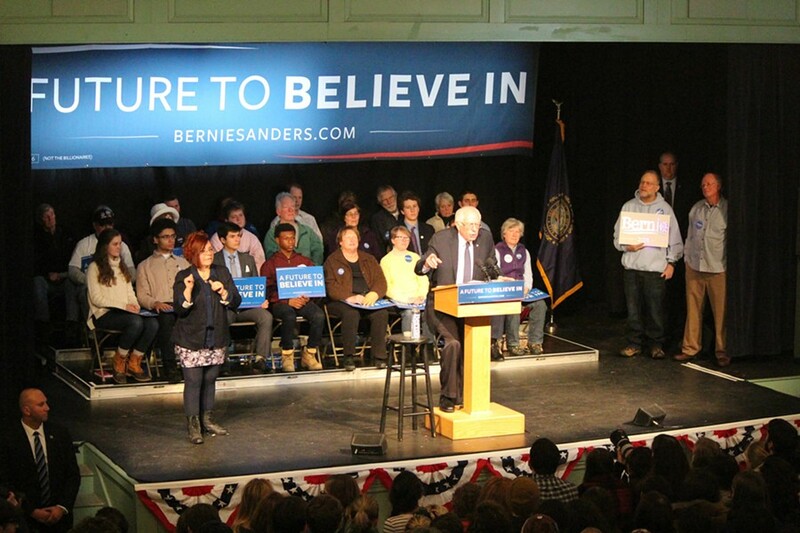 Sanders did go through with a rally at the historic Exeter Town Hall, where President Abraham Lincoln delivered the last of four New Hampshire speeches in March 1860. And as he has taken to doing in recent weeks, Sanders made sure to name-drop the 16th president. 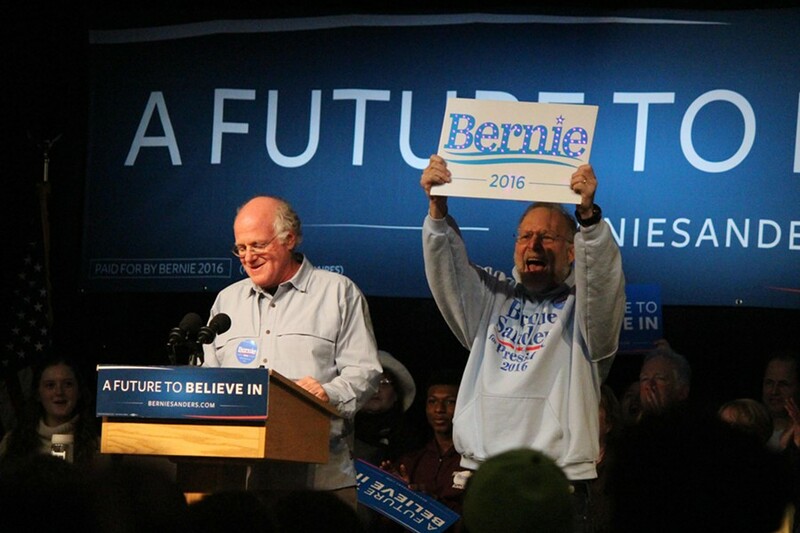 Ben Cohen and Jerry Greenfield introduce Sen. Bernie Sanders Friday in Exeter, N.H. Despite Clinton’s plea Thursday night at an MSNBC debate for him to lay off his attacks on donations she’s received from Wall Street, Sanders kept it up Friday. Sanders also opened up a new line of questioning Friday, asking his opponent to commit to preserving and expanding Social Security. The move may be targeted at courting older voters, who appear more inclined to support Clinton. Sanders was introduced, as he occasionally is in New Hampshire, by Vermont ice cream magnates Jerry Greenfield and Ben Cohen.